Astrology is one of the most recognised methods of divination around today. 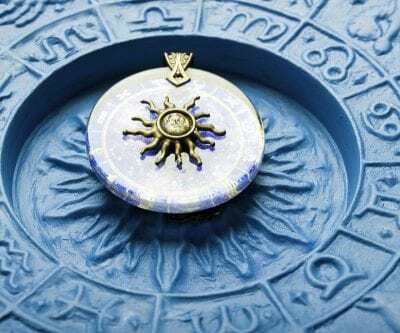 While many people will associate astrology with the predictions they see in the daily newspapers, horoscopes are the very simplest form of astrology. This complex ancient science dates back thousands of years and is actually one of the most intricate methods of divination there is. Typical figures for modern belief in astrology usually hover around the 25% mark. If you’re not yet familiar with astrology or not entirely convinced of it’s benefits, read on for our top 7 reasons to learn astrology. Perhaps the most popular reason to take up astrology is to learn more about yourself. Understanding astrology allows you to gain a deeper insight into your natural strengths, characteristics and personality traits. You can then begin to understand why you react or behave in certain ways and value the qualities that make you uniquely ‘you’. Another advantage to learning astrology is the ability to understand other people better. It’s often all too easy to become insensitive or oblivious to the thoughts or actions of those around us. You can use birth charts to help understand others and get along better with the world. Knowing your birth chart and that of someone else can help you explore relationships with friends, family members, partners or co-workers. This can help improve communication by helping you to recognise why a relationship works, and accept the reasons why it might not. If you’re looking for love, astrology can be one of the strongest tools at your disposal. You can use your birth chart to help you figure out what it is you really need from a partner and the type of person you should be looking for. Astrology can also be helpful when deciding on a suitable career path. Use astrology when career-planning to help you identify your strengths in the workplace and what type of field you would be most suited to. Astrology can be a great indicator of ‘when’ to do certain things. Having difficulty deciding when to start a family, go travelling, or embark upon a new project? Astrology will guide you on when to act. One of the biggest benefits of studying astrology is the opportunity to gain knowledge of a subject that has great historical significance. Astrology has been practised for centuries, dating back to at least the 2nd millennium BCE and still endures. Through learning astrology you can approach many literary, artistic and historical texts with a new perspective. For more information on astrology, read our guide to the 12 signs of the zodiac to find out how your star sign has influenced your life. Or why not get in touch with a Psychic Light reader? For an incredibly detailed and insightful Astrological Email Reading, all you have to do is provide us with your birthplace, date and time. Psychic Light is on hand with a team of three internationally renowned astrologers, ready to provide you with guidance and insight into your future. We look forward to hearing from you!